With cannabis now legal in Canada, curious minds are seeking out marijuana-based treatments, like CBD — a compound of cannabis — for treating ongoing medical conditions, with some people even using it to wean themselves off prescription medications. Former B.C. Health minister Terry Lake says CBD helped him get off years of on-again, off-again sleep medication. Lake takes CBD orally — with two sprays every morning under the tongue and two more at night. The treatment is working, he said. CBD or Cannabidiol has low or no THC, the psychoactive component in cannabis, so it won’t get you high, which is why research has shifted so heavily toward adopting it for therapeutic uses. Rielle Capler, a postdoctoral research fellow with the B.C. Centre on Substance Use said people are making the switch because they are concerned about the side effects of pharmaceutical drugs. Lake moved from politics to the marijuana industry in August 2017, saying at the time he was optimistic cannabis could be used to substitute other types of medications. And while he has a vested interest in the industry’s success, he says CBD sales are through the roof. “We can’t make it fast enough” he said. The World Health Organization made headlines with its March, 2018 report that said CBD posed no health risks and in fact showed ‘preliminary evidence‘ that it could be useful in treating Alzheimer’s, Parkinson’s disease and cancer, among other serious conditions. 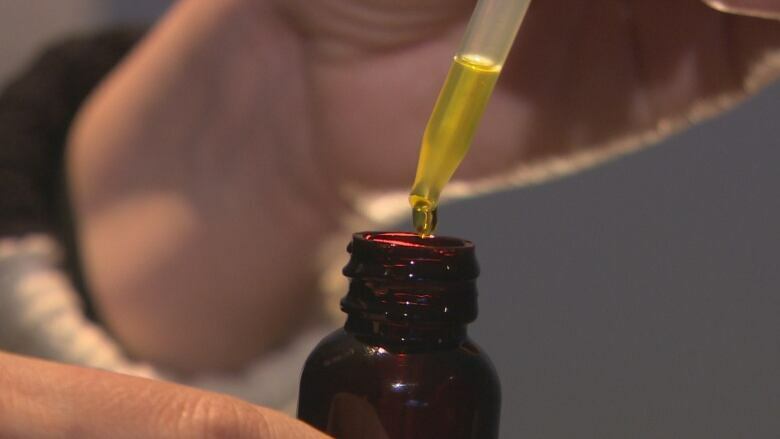 “We are just beginning to learn about the potential benefits of CBD … but right now there is still a gap in research evidence,” said Dr. Bonnie Henry, the Provincial Health Officer of B.C. Henry said people who are trying it for the first time should go slow and tell thier doctor, because CBD can interact with other medications. The BC Liquor Distribution Branch, which distributes non-medical cannabis for the province, won’t reveal sales figures, but CBD products on its website are often available in limited quantities, or sold out — suggesting a growing interest in their potential benefits.